Mr. Henry Lee Murchison was born on August 29, 1931 to the late Webster L. and Willie Mae Murchison. He was a Bryan County native and operated his own wood/tree logging business for several years. After getting out of the business, he then worked for Bryan County Sanitation Department until his retirement. After retiring, he continued serving his community as an ordained minister and helped start many local area churches. One of his favorite hobbies was taking various scrap metal pieces and building his beloved barbecue grills. He never let a day go by where he was idle. he would always say "I gotta keep moving because if you don't use it, you will lose it." You could never encounter Henry without hearing about how good God was to him and having him encourage you to have a relationship with God. 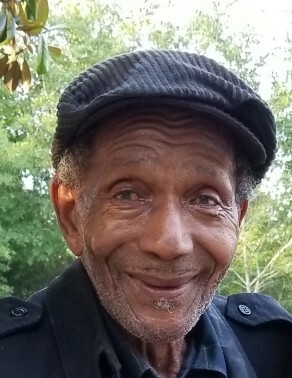 On Saturday, February 2, 2019 Henry passed away peacefully at the Savannah Beach Nursing and Rehabilitation Center of Tybee Island, Georgia after a brief illness. He is preceded in death by his daughter Elizabeth Martinez (Solomon) Brown. He leaves to cherish his memory his wife, Betty Murchison of Statesboro, Ga.; three daughters Tracy (Reggie) Osborne of Dover, Delaware, Mary (Edwin) Poncy of Savannah, Ga., and Lisa (Vernon) Ferguson of Pooler, Ga.; three sons Henry (Annette) Murchison, Jr. of Rapid City, South Dakota, Kenneth Murchison of Savannah, Ga., and Dwain Murchison of Fitchburg, Mass. ; 19 grandchildren, 22 great grandchildren, 2 great great grandchildren, a host of nieces, nephews, and friends.